The mountains that give the National Park its name provide some of the most exceptional aspects of its biodiversity. Much of the high ground resembles mountain tundra found in the Arctic. No other part of Britain has so much high mountain terrain within such a comparatively small area. 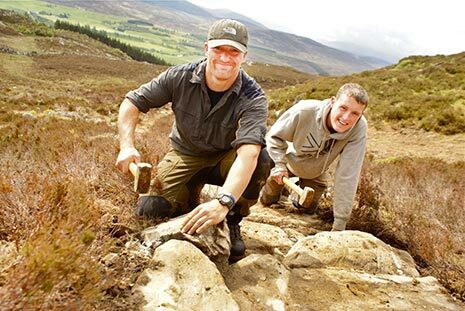 The Cairngorms Outdoor Access Trust plans to repair over 94 kilometres of mountain paths to control and reverse erosion and restore habitat. This will help make sure that an ever growing number of walkers, climbers and tourists can still enjoy our most fantastic landscapes without damaging the extremely fragile habitat. CNPA is working with estates in the National Park to restore damaged peatland. There are three projects currently underway totalling 200ha of restoration repairing bare peat, removing trees and blocking drains on Mar Estate, Inhriach and Cairngorm mountain. Scottish Natural Heritage are removing 17ha of pine trees from the internationally important Black Moss on the Muir of Dinnet National Nature Reserve. Over half the National park is moorland and as well as the obvious impact this can have on the Park’s overall biodiversity it presents the biggest opportunity for recreating one of our lost landscapes – montane scrub. The Cairngorm mountains are widely acknowledged as being of exceptional geological and ecological value. The sheer expanse of higher altitude ground, combined with the near natural conditions found there, helps to shape communities of scarce plants, lichens, mosses, fungi, insects and birds. The most serious threat to this extremely fragile habitat comes from climate change and to a lesser extent, trampling, erosion and disturbance. Birds such as dotterel and snow bunting, with links to Arctic tundra communities, give the National Park exceptional UK value for scarce birds. 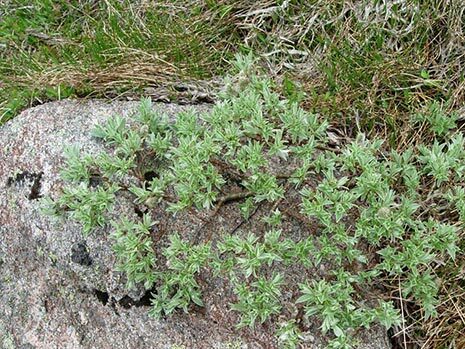 There are extensive tracts of montane (alpine-like) communities including plants, insects and primitive organisms such as slime moulds and rare lichens associated only with snowbeds. Upland heathland or heather moorland is the most extensive habitat type in the Cairngorms National Park, frequently in mosaics with blanket bog. Blanket bog erosion is a key issue contributing to the unfavourable condition of many upland designated sites, and this erosion is likely to be a significant source of carbon emissions. The majority of these communities result from human activities: woodland clearance, the prevention of natural tree regeneration by burning and grazing, and drainage to support recreational hunting of red grouse and deer. Montane scrub can be defined as the habitat on mountains in which trees and shrubs grow at altitudes higher than the treeline. Confined largely to remnant patches on remote and inaccessible cliffs in Scotland, montane scrub is almost disappeared in the UK. 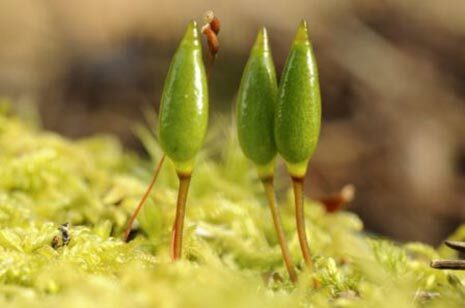 Fragments in the National Park offer some of the best opportunities to demonstrate landscape-scale restoration of the UK’s rarest and most threatened of native habitat types. Keep up to date on volunteering.